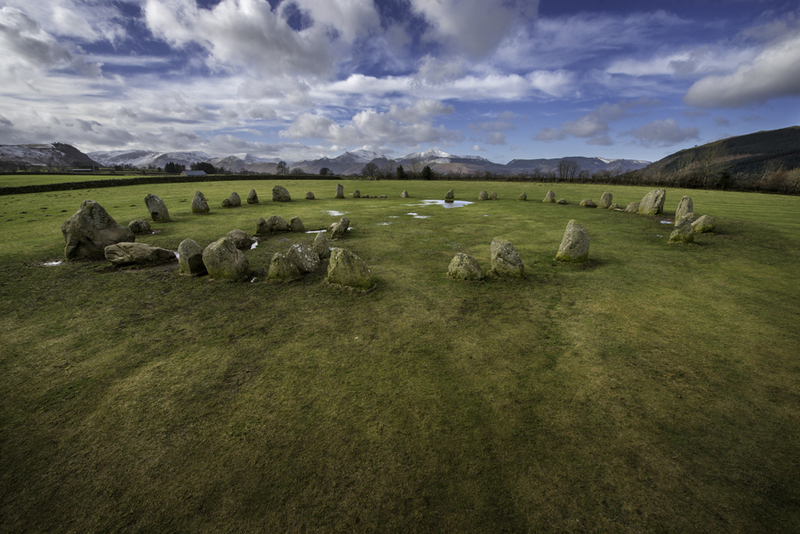 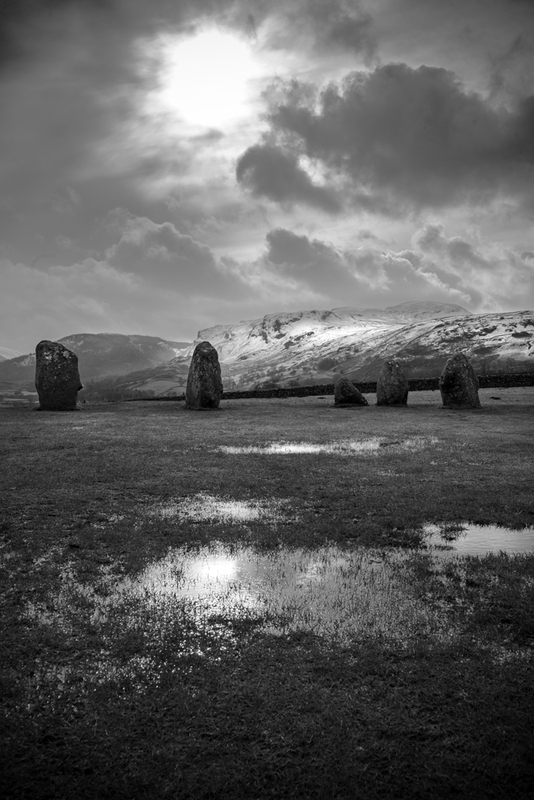 The stone circle at Castlerigg is situated near Keswick in Cumbria. 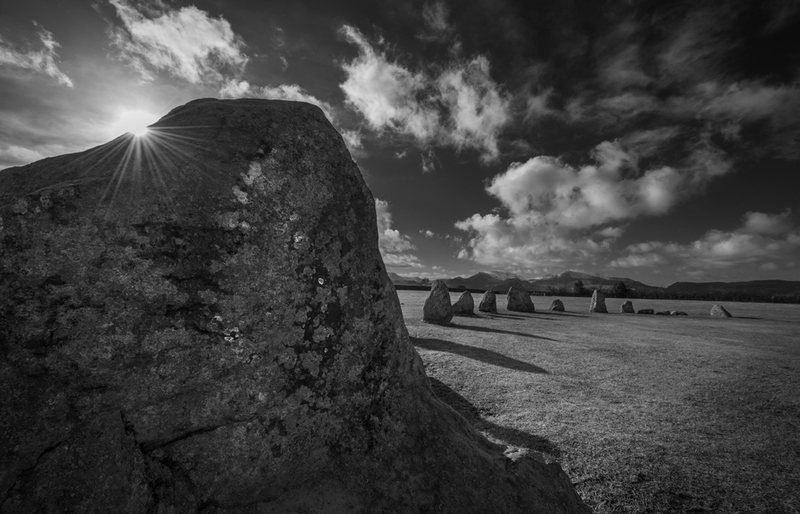 It was constructed as a part of a megalithic tradition that lasted from 3,300 to 900 BCE, during the Late Neolithic and Early Bronze Ages. 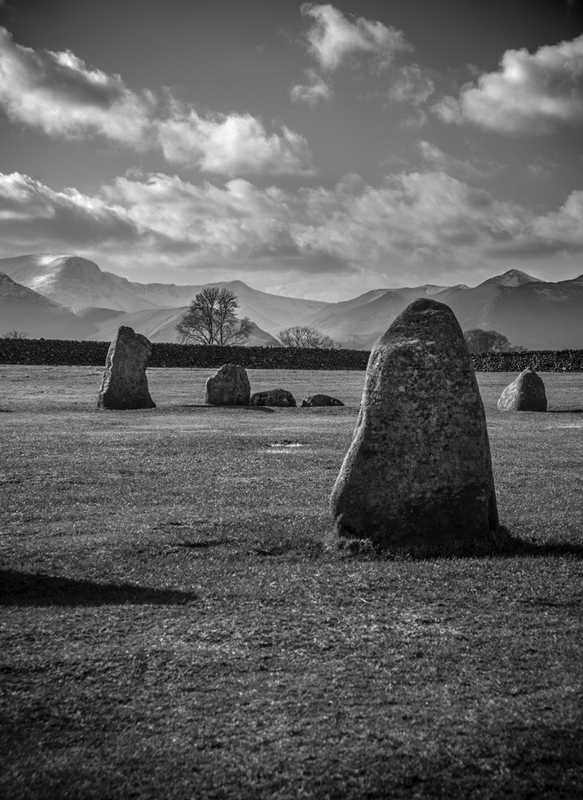 Every year, thousands of tourists travel to the site, making it the most visited stone circle in Cumbria. 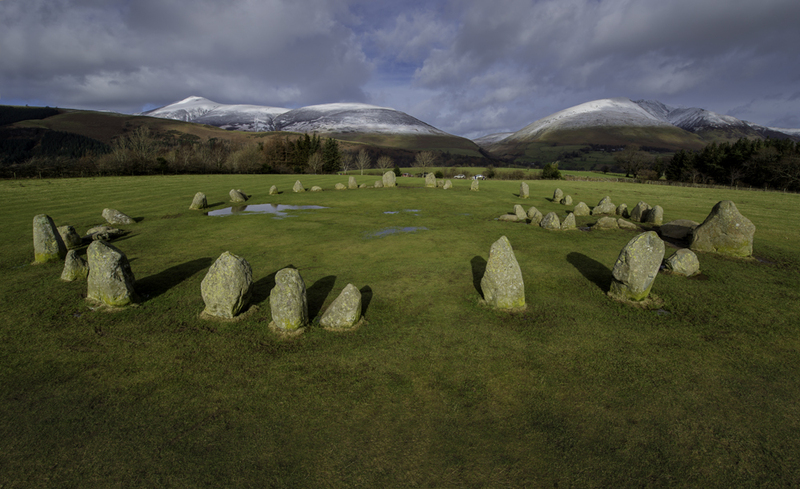 This plateau forms the raised centre of a natural amphitheatre created by the surrounding fells and from within the circle it is possible to see some of the highest peaks in Cumbria: Helvellyn, Skiddaw and Blencathra. 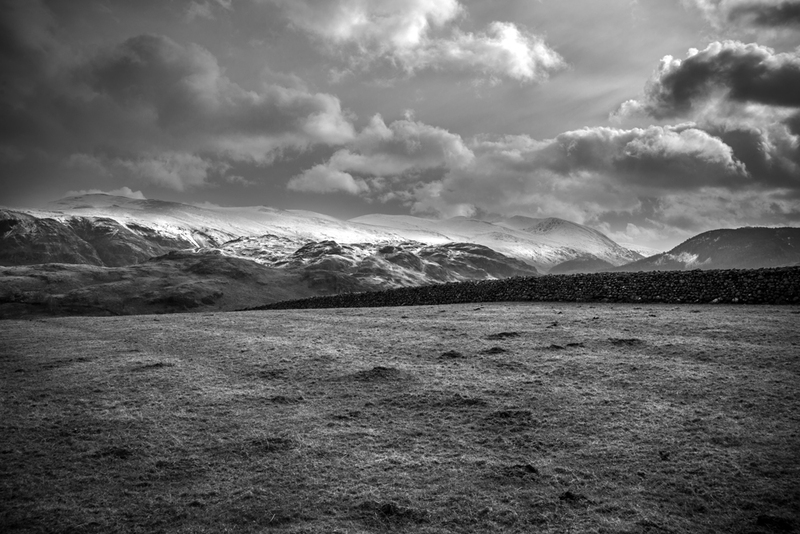 The weather cleared as we arrived and revealed the surrounding snow covered peaks. 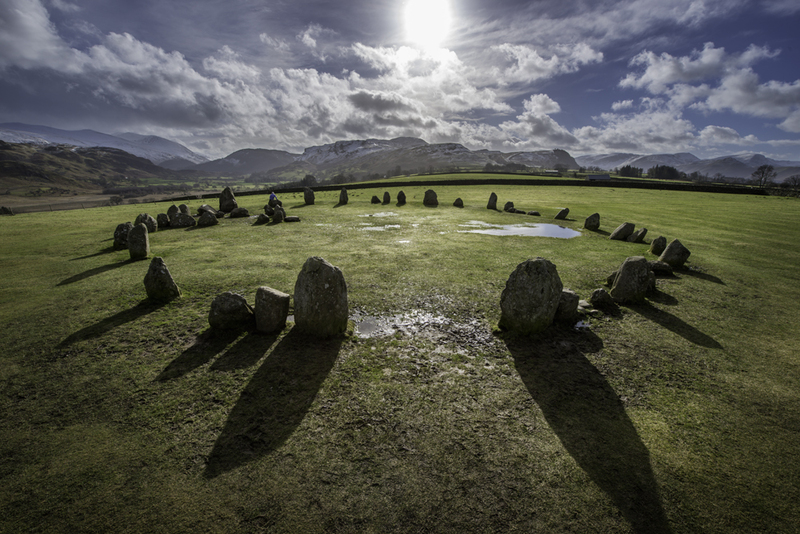 We were able to achieve some high level shots which showed the circle from an elevated viewpoint.